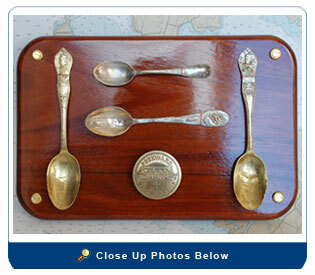 Composed of four commemorative spoons (silver plate over brass): two Battleship Maine, Flagship Brooklyn & the USN Flying Squadron and the Sailor's of the City of Gloucester. Also a solid-brass, White Star Line "Steward's Badge souvenir pin. 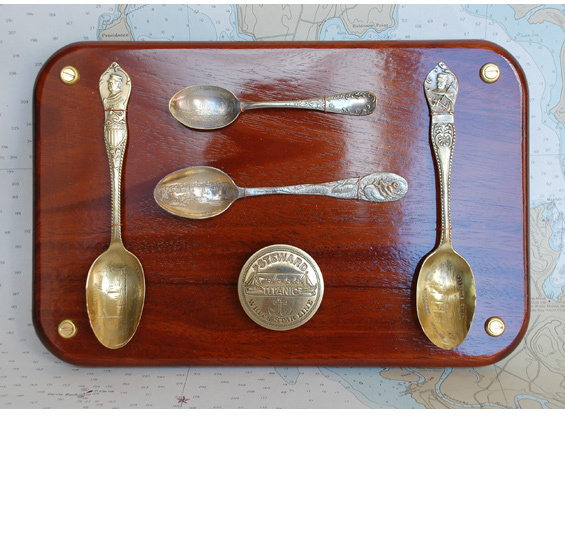 These antique items (early part of the 1900rds) have been mounted on a mahogany board for display. All items have been cleaned and sealed. Size: 10 ½” long and 7” high.